One minute and 44 seconds worth to be precise. 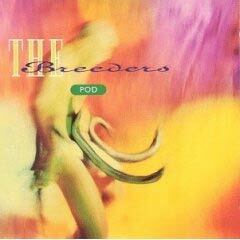 And the subject of this perfection is The Breeders’ Fortunately Gone from their 1990 debut record, Pod. The song is a paragon of simplicity, with a gentle, upbeat, bobbing rhythm and seductively playful singing that doesn’t hesitate to draw you in. My only complaint is its length. It is so perfect, yet so tantalizingly short, that I can’t help but want to hear more. So, for the one time since the tunequest began this year, I made an exception and listened to a song twice. In fact, I think I blew out a car speaker on the drive home doing just that. It won’t help though; this song will be stuck in my head for days.